Yesterday, with the speculation starting to gather pace as clubs seek to take advantage of the transfer window being open, we covered how Barcelona, in their keenness to sign our Brazilian winger, Willian, had decided to increase their bid. Our article Click Here, suggested that now might be the time to do a deal, especially considering the age of the winger and the deal the Catalan giants were offering. Today, there has been another development when it comes to clubs being interested in the player. 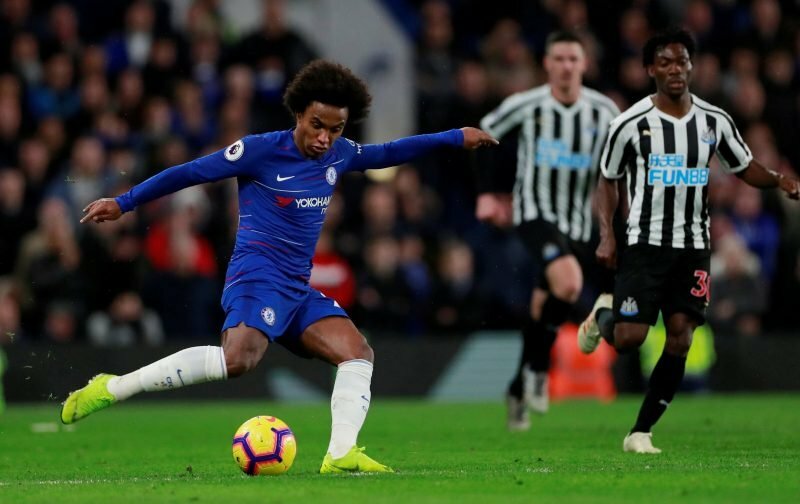 It is being reported by the news source, the Mirror, that there is interest in Willian from the Chinese Super League with Dalian Yifang wanting to acquire his services. “For us Willian is really a very important player. Now, whether Chelsea can divert any rumoured transfer interest in the 30-year-old remains to be seen, but keeping Willian could, I feel, have a detrimental effect on keeping the hugely talented Callum Hudson-Odoi. It could be an interesting few weeks ahead for Chelsea supporters.